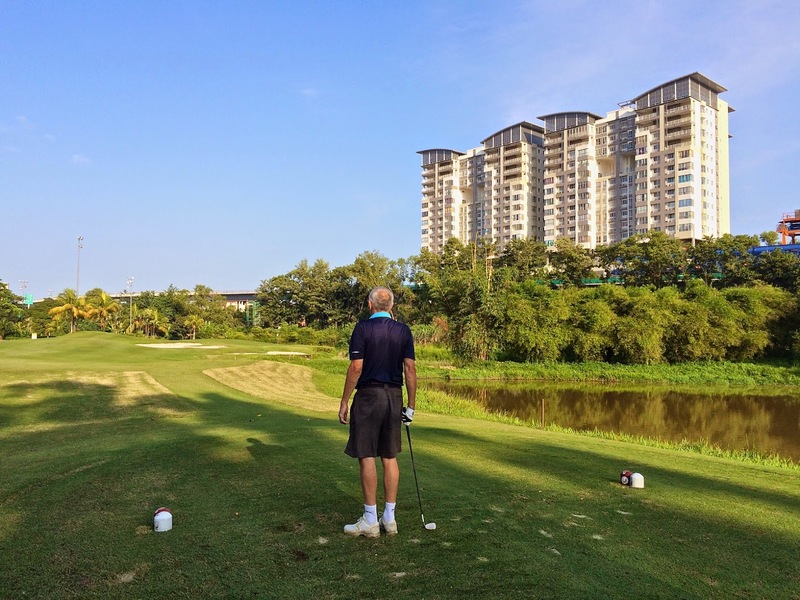 Ten players made up of seven regulars and 3 guests, 2 ex work colleagues of mine Andy & Neil and Sigi’s guest Johan teed off on time at Seri Selangor for the December trophy game. The course was in reasonable condition considering the excessive rain we have been experiencing, one or two of the greens had been sanded. 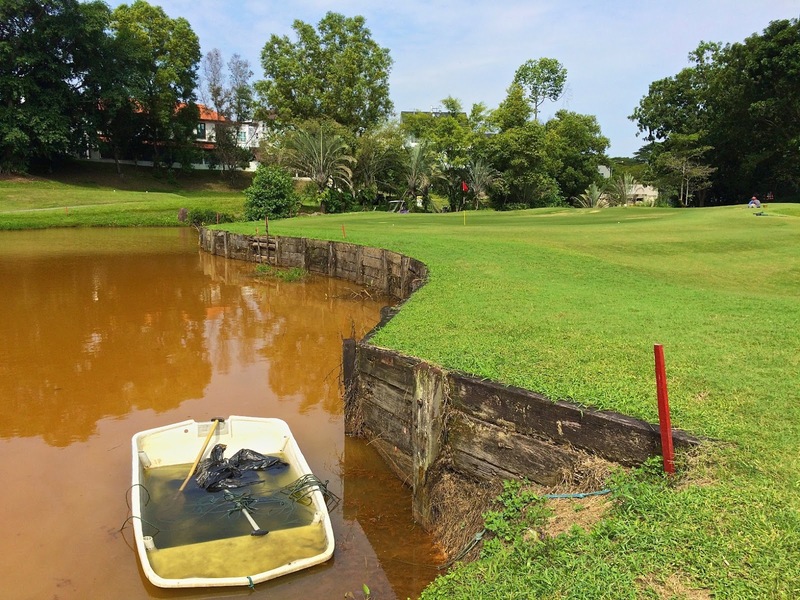 Seri Selangor continue to be carry out course improvements. It should be noted that this is the last game under the present rules as from 1st January 2019 the revised rules apply. Only 3 minutes to look for the ball!!!!!! After the game we adjourned to Pantai Seafood Restoran where we were joined by our illustrious convener Hans who presented the December Trophy to Dave Evans who managed to accumulate 38 points with his score of 98. Well done Dave. Sigi was in excellent spirits the new baby having arrived on Christmas Eve. Mother and young Oscar are both well. Consequently the beers and food were all on him. Thanks again Sigi most appreciated. 8 of us made it to Pantai Seafood where we enjoyed a good lunch ordered by Iain with lots beer to wash it down. 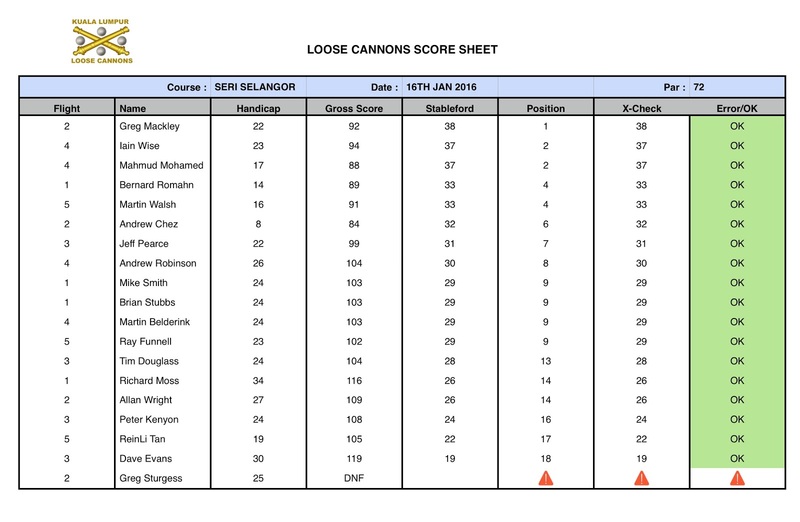 Next week all being well we will probably be at Bukit Jalil where I will be expecting everybody to be on their A Game and nothing less than 40 + points by the winner !!! 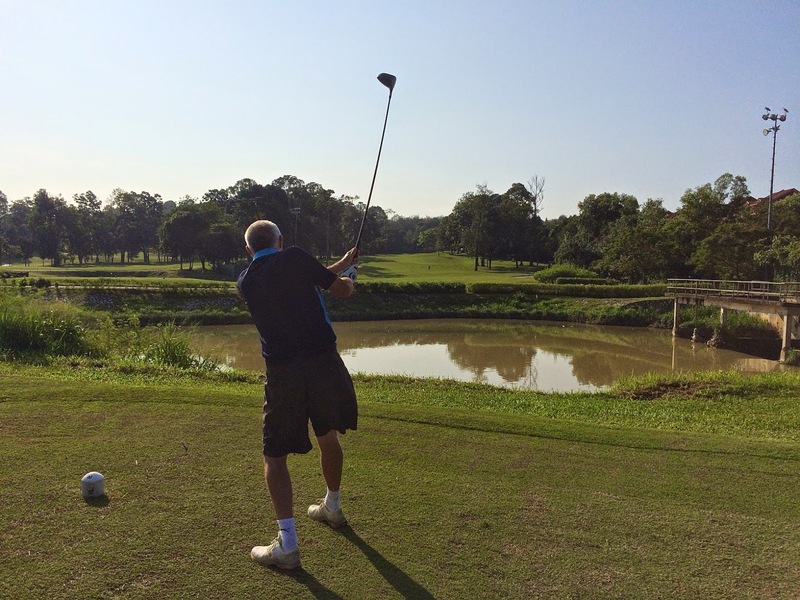 With many players away on the KLOGS tour to Vietnam there were only 11 players today for our game at Seri Selangor Golf Club with Kevin Wiggins acting as Convenor as Hans was on the KLOGS trip. We started early and were off before 7:30am. 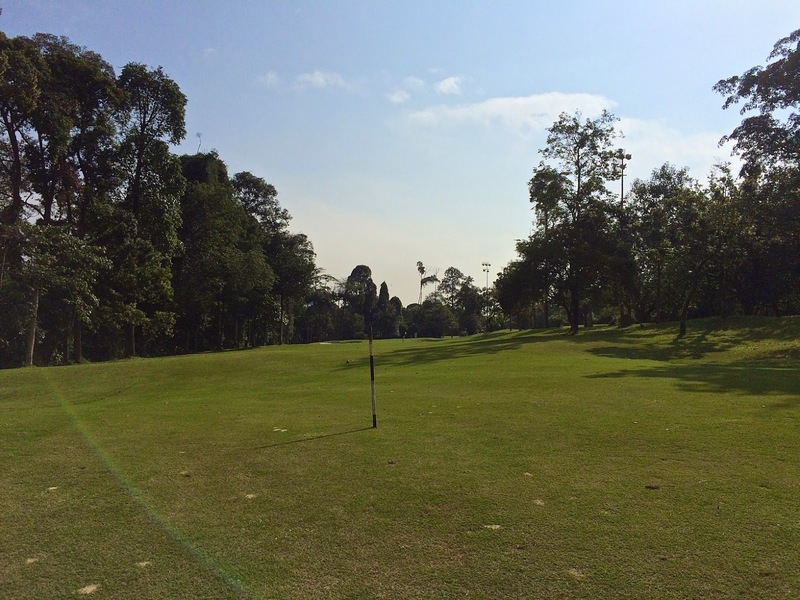 The course was in good condition and as tricky as it always is. Weather was overcast making it relatively cool all the way round. 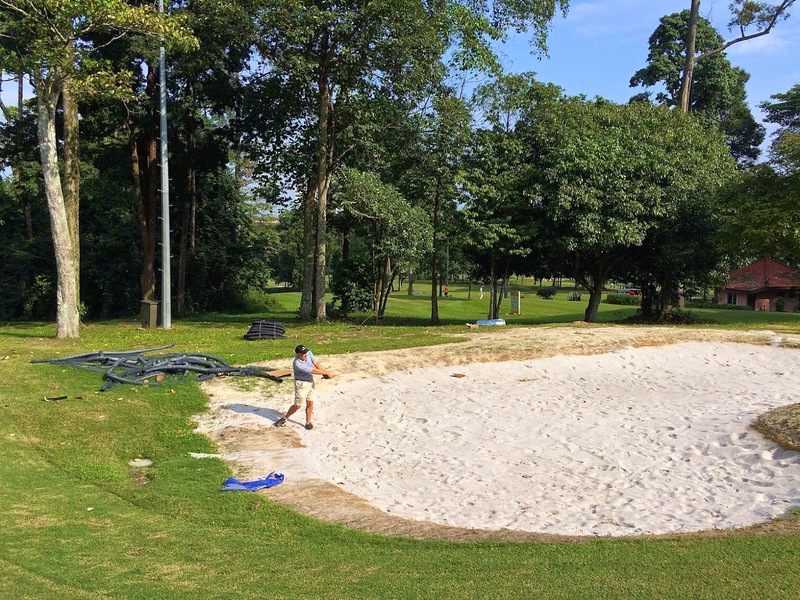 We noticed some course improvements with a new deep pot bunker placed at the right side of the green on Hole No 11, which was duly checked out by Paul Collett! We were finished just after 12 noon and 7 of us made lunch at Pantai Seafood for some great food and the most welcome cold beers. 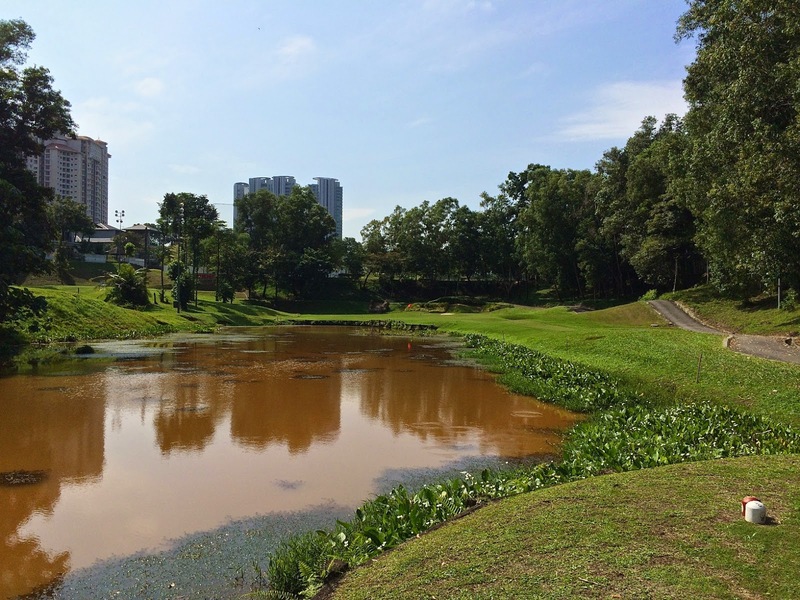 And just for Hans’ attention we had a lovely large plate of huge prawns ……..
We returned to Seri Selangor after a long period where they were renovating the course. 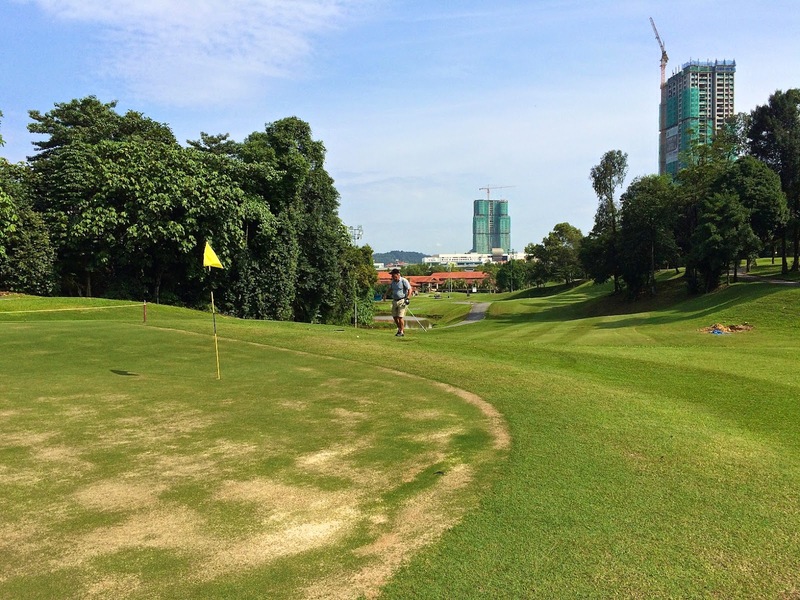 There have been some improvements but it is really far from ready with scruffy fairways, dug up areas and some extensive GUR area around some greens. The greens were very good however apart from hole no 18 which is now a temporary green as they work on the proper green. So we may have to leave it a while till we return here. We had 4 full flights and got off from 2 tee boxes sharply at 8:00am. After the game we had lunch at our regular Pantai Seafood Restaurant which was very good. 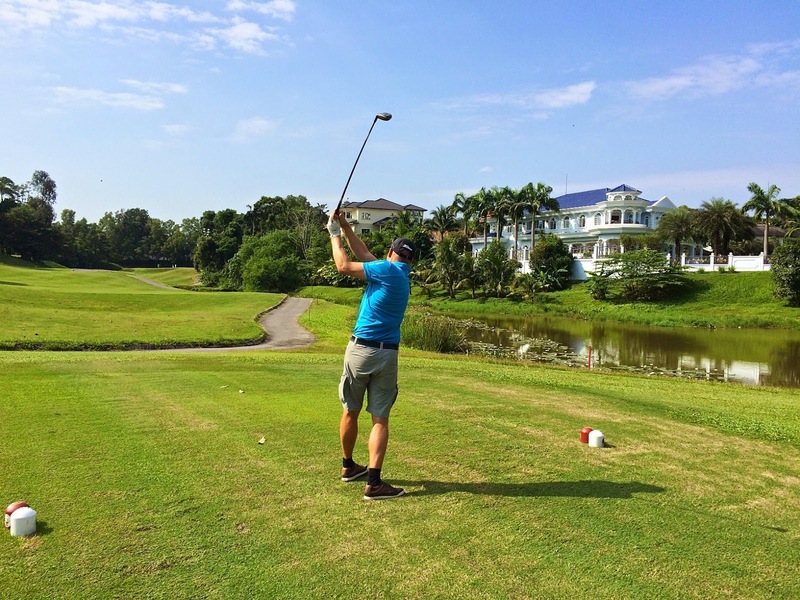 With the last minute withdrawal of Hans Berger with an ear infection (get well soon Hans) and Greg Sturgess lost but getting closer, 18 LC’s teed it up on a pleasant morning at Seri Selangor with Greg joining the fun at the 4th hole. 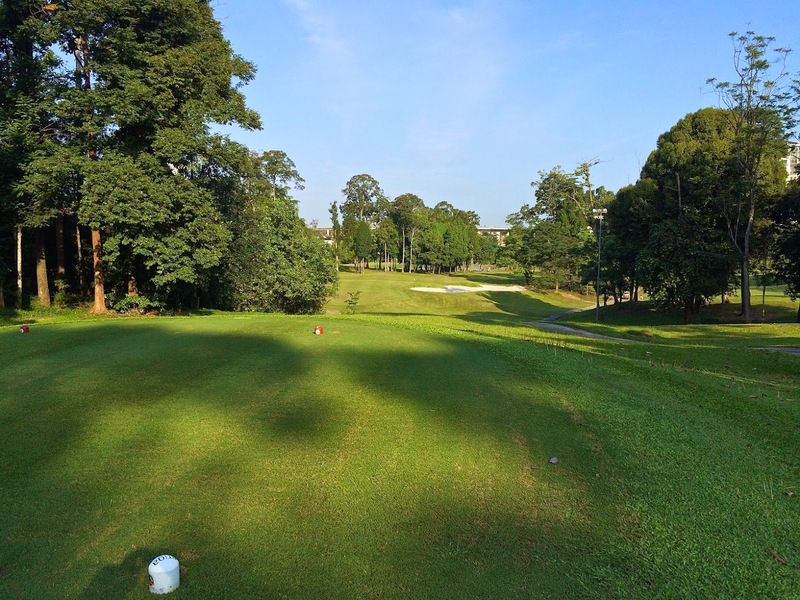 The course was generally in good nick with fastish greens that were a little variable in speed making them very challenging. 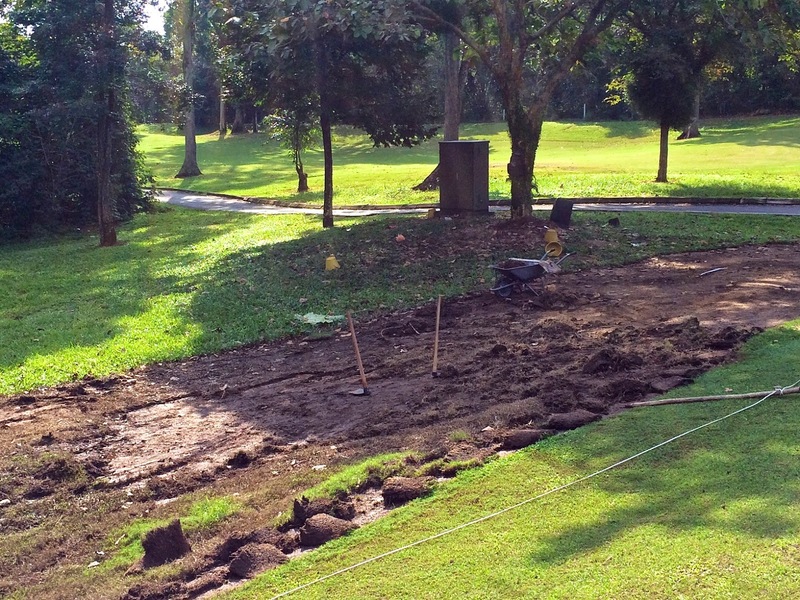 The down side was a lot of on-course drainage work and the White Tees being on the ladies tee box on all but one hole. 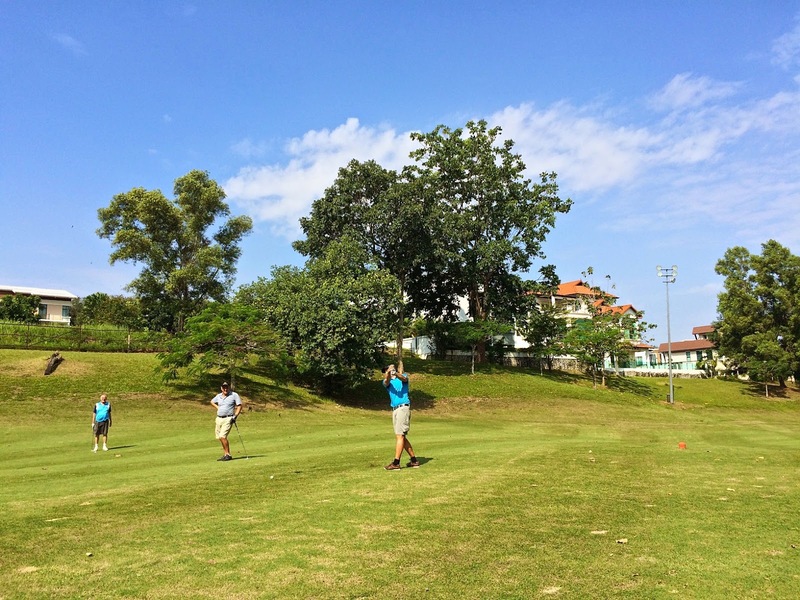 Having said that it is indeed sad to note that, despite playing from the girls tees, only 3 players managed to better than their handicap. Seri Selangor proved once again to be a serious challenge for most of us. Lunch was taken at Sun PJ Seafood with 15 attendees. The food was good but the steamed fish; although very good, was bloody expensive at RM234 for the 2 dishes!!! But everyone enjoyed the meal washed down with copious bottles of beer. And BTW, the prawns were awesome. Sorry to have to tell you that Hans!!!! The winner with a gross 92 for 38 points was Greg Mackley. Well played Greg. You are cut 4 strokes. Runner-up o.c.b. 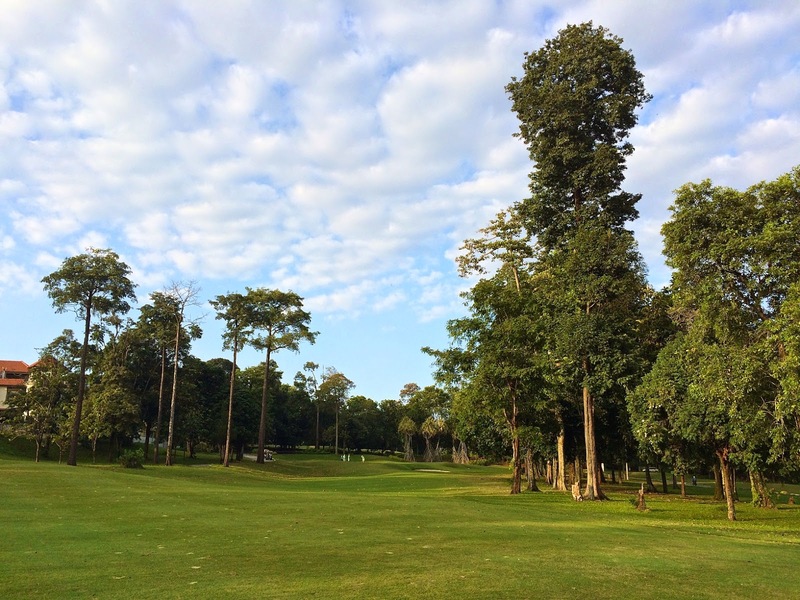 was Mahmud Mohamed with 88 for 37 points which included an eagle at the last and the lowest gross was 84 by Andrew Chez. Full results are attached. 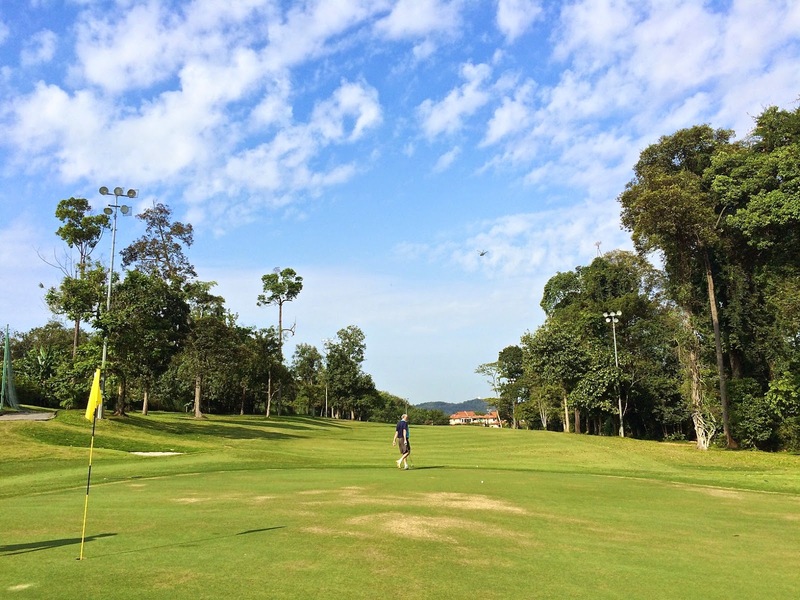 We had 16 (4 full flights) for today’s outing to Seri Selangor on a beautiful morning with clear blue skies. Quite a few had some issues getting to the club on time due to the traffic congestion and some spurious GPS directions to the club entrance. 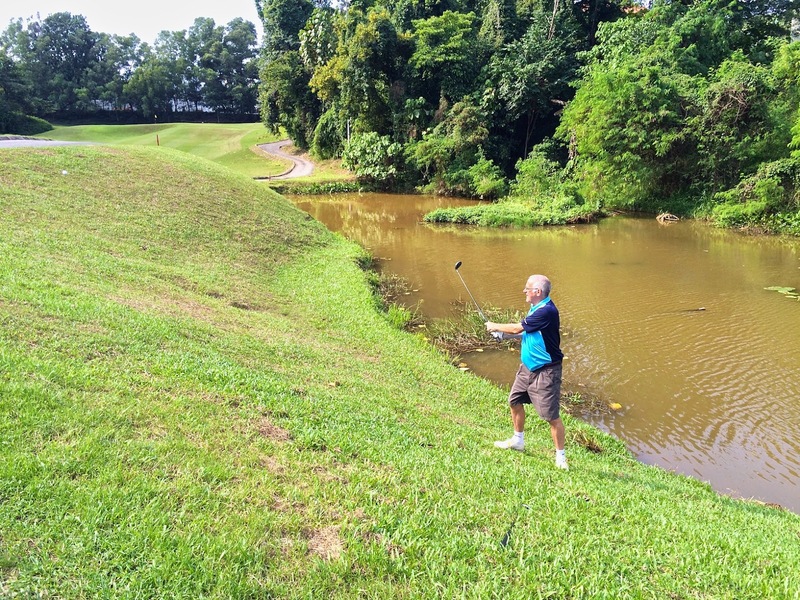 Only one person missed the tee off …. Henning managed to catch our flight by end of Hole 1 so he only missed the first hole. The course was mainly dry but there appears to be a fair bit of remedial work ongoing particularly on the bunkers and around the greens. 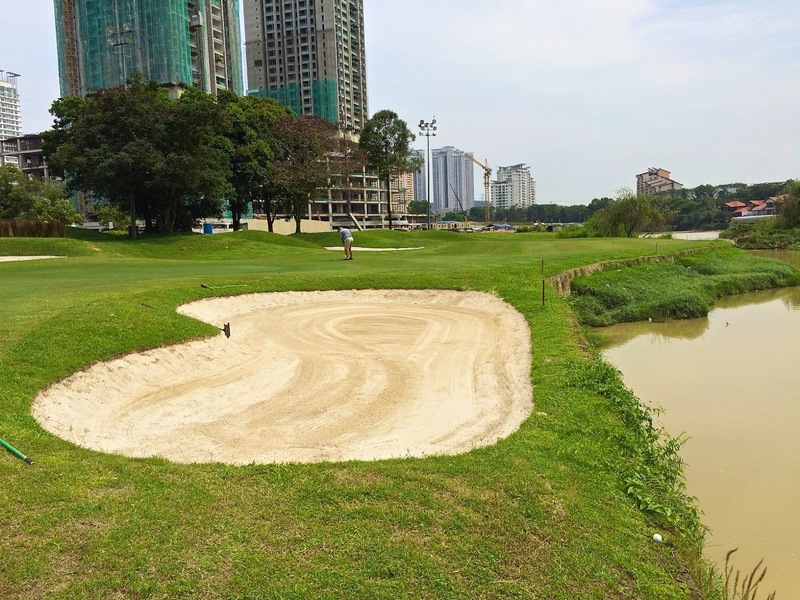 The greens were also not in the best of shape – many of them sandy and bare which is not up to the usual standard here. We all finished by 1pm then adjourned to Pantai Seafood for an excellent lunch. Many thanks to Tony who was celebrating his 65th birthday and sponsored the drinks. Bernard was presented with the RM50 winnings and also received a special gift of a poster as a memory of the Batam Away Trip and to complement his other two posters. 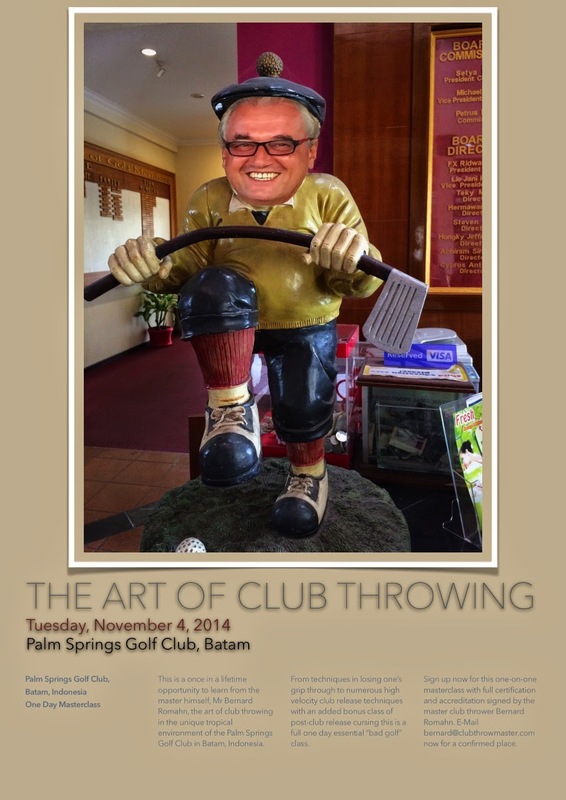 A copy of the poster is shown below for all to enjoy …. Note from Editor: Tony Morris’s report reads like a company Annual Financial Report ……. 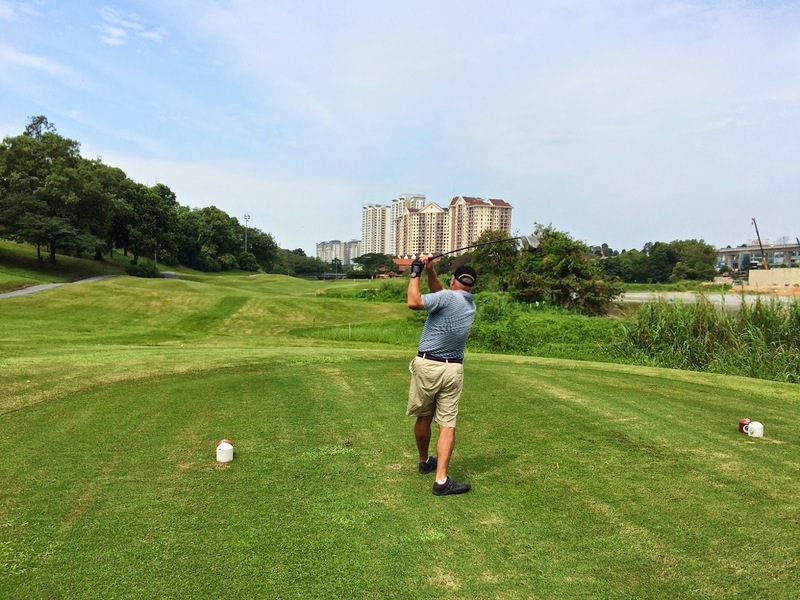 would be good to see some descriptive text on the golf game. 1. Bernhard Romahn – 95/35 and cut 4. 2. Sigi Meierbrugger – 92/34 and cut 1. 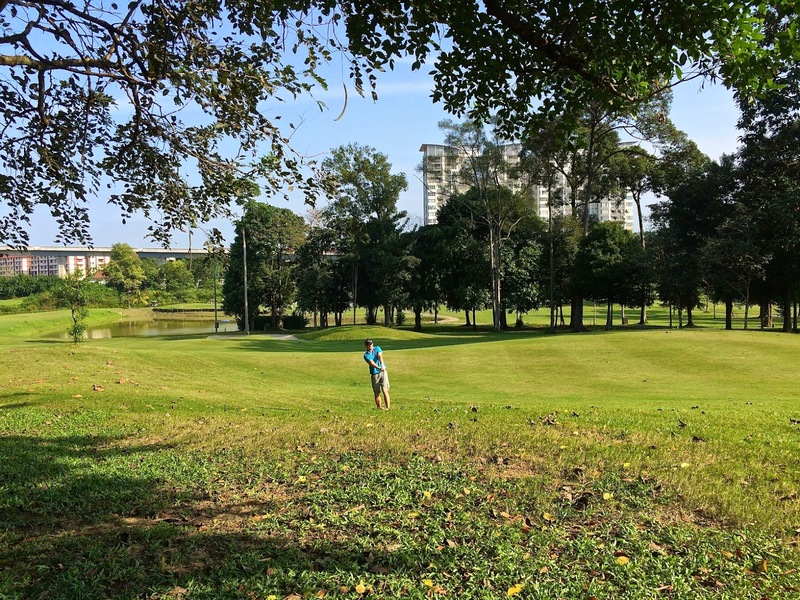 As the master chef at Seri Selangor was not in the kitchen on the day and they had run out of Chateau Lafite, the post golf F&B was taken at Sid’s Pub in TTDI – we had the place to ourselves save for a brace of office dollies and it turned out to be a rather sober and quiet event…. 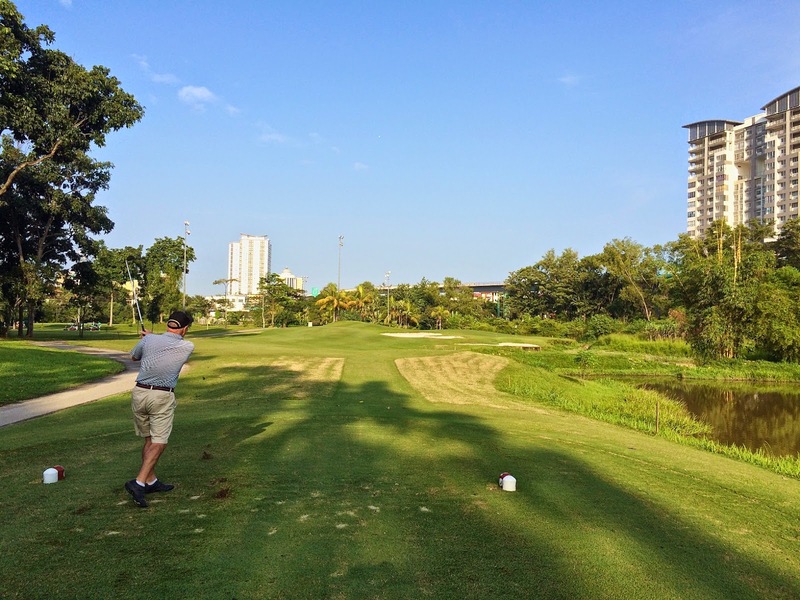 11 players made it to Seri Selangor for a 7.00am muster. 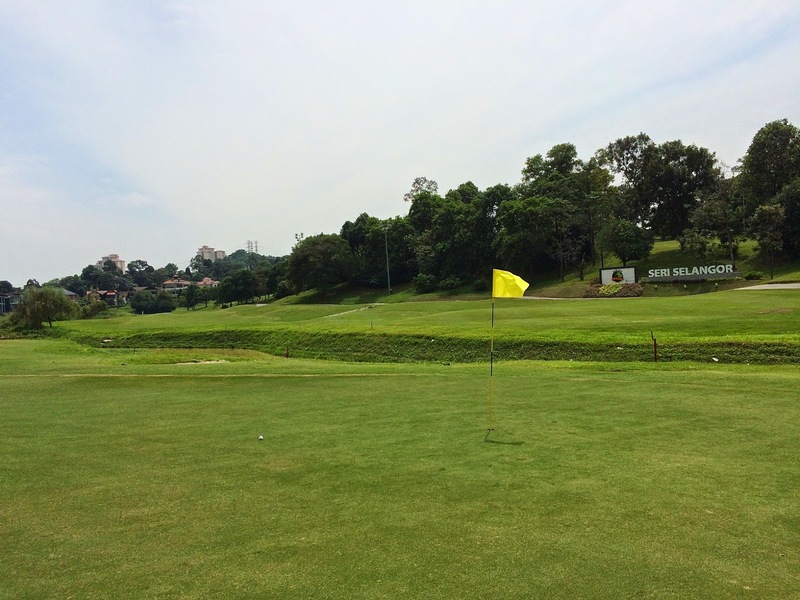 The course was in good order with excellent greens. 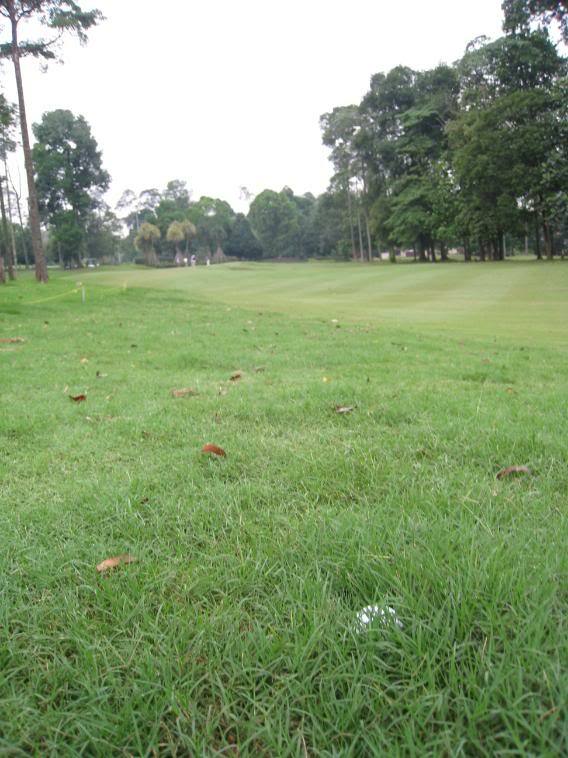 However the rough was very rough and made for much ball searching. 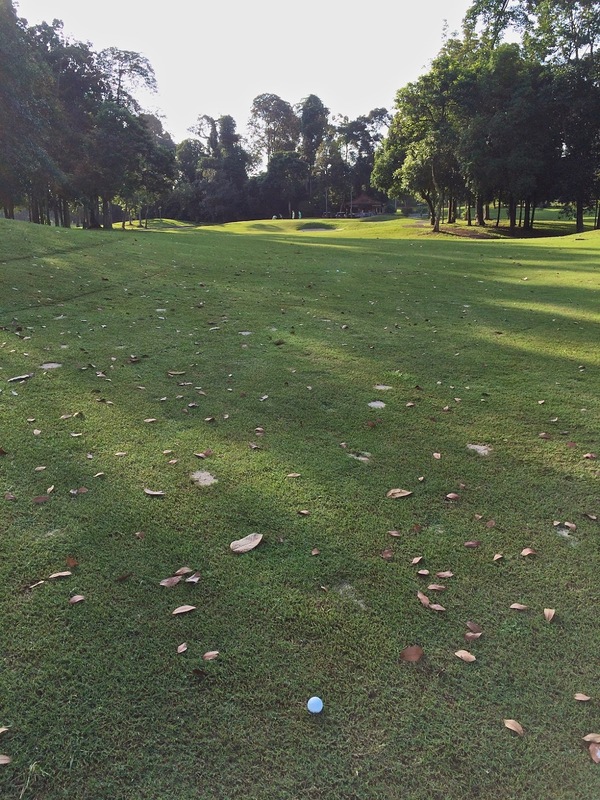 The second flight spent at least 60% of the time looking for Ian’s ball…..he managed to loose 6! The group welcomed Mohamed for his first Cannons game and Richard Moss who is now back in town after 2 years in Dubai. 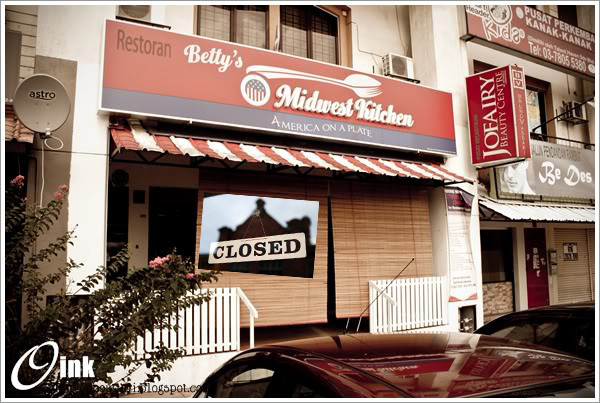 Erol took the initiative to book us in to Betty’s Kitchen for lunch, which turned out to be closed for the day for stocktaking! So it was off to the RSC Kiara Sports Annex, where Mike Smith joined us. It turned out to be a good thrash with lashings of beer and wine to the fore. Unfortunatel Raymond who was not playing made his way to Betty’s for lunch……..! The PINK LADY CHAMPIONSHIP is slated for Friday, 29 October, and 8 Cannons have signed up to grace the occasion. The CANNONS XMAS LUNCH will be on Friday, 10 December, and Andrew + Mike will firm up details nearer the time.